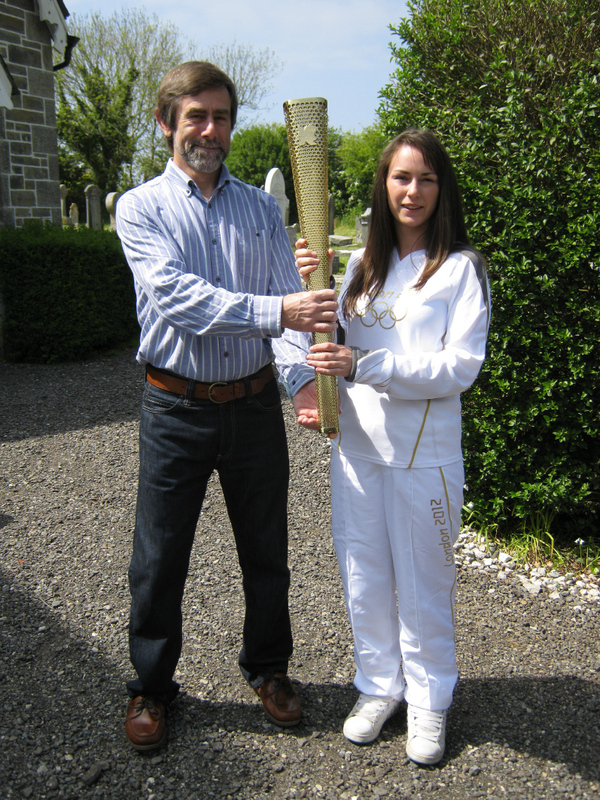 Samantha Woon, 21, who was torch bearer Number 23 and who carried her torch between Alverton Road and Penalverne Drive, Penzance, presented our Chairman, Roger Radcliffe, with her torch in a happy ceremony, surrounded by her family, at the Museum on Sunday 20 May. Samantha had been nominated by her mother. As a child, Samantha had two eye operations. The second did not go well and she was, for a short time, left without sight. As a result of this she became very aware that losing one’s sight can be a very frightening and disabling experience. This gave her the drive and ambition to help others; she began fundraising for the blind at the age of ten, writing to many people, including the Queen and Prince Charles who were very supportive. She managed to set up a fund in her name and raised well over two thousand pounds. She was awarded the Princess Diana award for all her hard work. She also went to Uganda as an Aid worker aged fifteen and hopes to return there next year. Accepting the torch, Roger stressed what a tremendous honour it was for the Museum to display it, one which had actually carried the flame brought from Olympia. 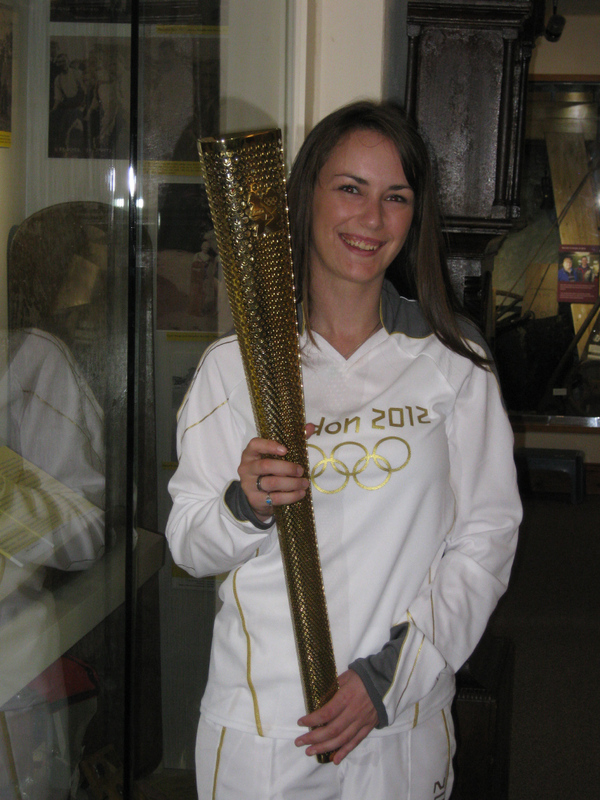 The symbolism of friendship and a sense of peace associated with an Olympic torch were aspirations shared by St Agnes Museum. It was very important, he said, that this torch had close personal links to St Agnes Parish as Samantha’s family had lived here for many years. He hoped that many schoolchildren would want to know Samantha’s inspirational story and see the torch. Samantha said she had met many inspirational fellow runners and was so lucky to have been part of the relay. The torch now forms the centre piece of the Sporting Achievements display. A whole trunk full of fascinating maritime memorabilia has been donated to the Museum by a retired Coastguard who was stationed at St Agnes during the 1960s. 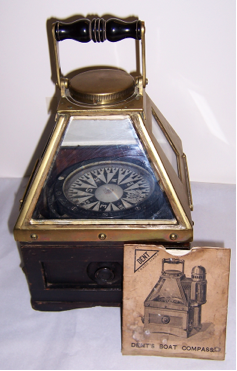 While our Curatorial team is still processing this generous donation which will be on display next season, here is a photo of a boat’s compass to whet your appetite.